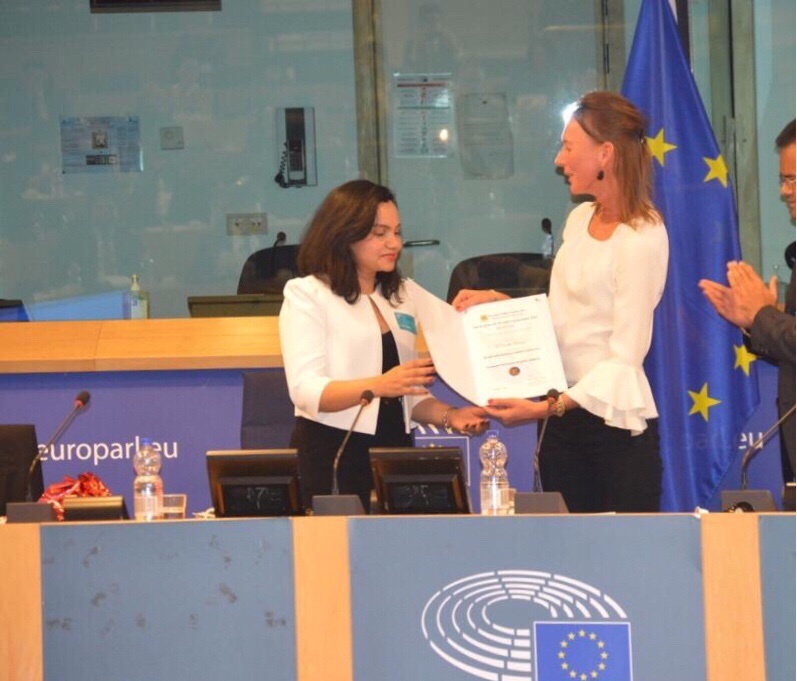 Kylla’s Prianka Mahanty was one of just 40 “unsung heroes of international trade” to be recognised during the Europe India Business Leaders Conference. Against the backdrop of Brexit discussions at the European Parliament in Brussels, on 10 April, the EU40 and the India Centre for Business and Industry released their joint EuIndia40 list. The list features young entrepreneurs, policy leaders, thought leaders and trade-body leaders, all under the age of 40, who are set to play an important part in shaping trade relations between the European Union and India over the coming decades. The EU40 is a platform for young members of the European Parliament and member-state national parliaments. Prianka, who was awarded for “Women in Private Equity in the EU India Trade Corridor”, plays a substantial role in trade deals between Europe and India. Prianka is a rising star of Kylla’s London office, from where she oversees our growing number of India-related private equity deals. With her Indian roots and vast experience in the manufacturing sector, she is the linchpin between high growth companies and Kylla’s investors and was most recently involved in the launch of a €50 million convertible bond. She has also been closely involved in the development of an algorithm-based hedge fund that is of particular interest to Indian and European investors. Private equity firms play a vital role in promoting trade and cross-border transactions, yet the number of women working in the industry remains low, at just 17.9% of all private equity employees worldwide. This is the lowest figure of any asset class.